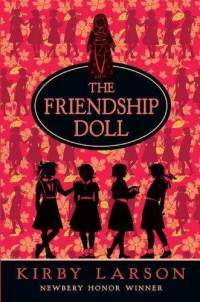 In 1927, 57 dolls were sent from Japan to America as Ambassadors of Friendship. The book follows one doll in particular--Miss Kanagawa--and her adventures through our country from the Great Depression to the World's Fair and onwards. Everywhere she ends up, Miss Kanagawa meets a girl who she manages to influence for the better. As we meet each girl and read the snapshot of their life before Miss Kanagawa appears, we get a real feel for how life was in the United States during that time. Some stories will break your heart and others will give you hope, even up to the very end. Readers who like historical fiction, especially graduates from the American Girl series, will eat up this book. Interesting and involving, a real little gem!